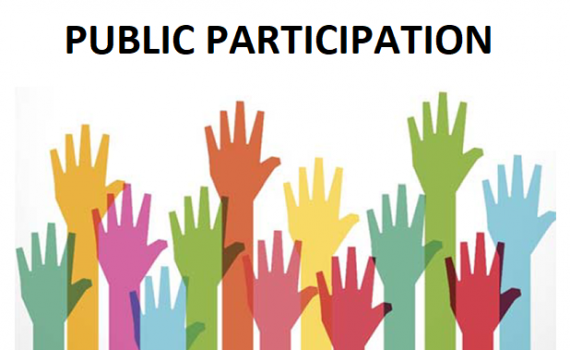 Public participation is a regular part of Town Council meetings. The Chairman will adjourn the meeting to allow members of the public an opportunity to ask questions or raise matters of interest. The meeting will be adjourned for a maximum of 15 minutes. Items for discussion have to be submitted to the Clerk in writing prior to the meeting. A maximum of three items can be discussed, with each speaker allowed to speak for a maximum of 3 minutes each. Decisions cannot be made by the Council on any topics discussed, as the meeting has been adjourned at this point but matters can be put forward for the agenda of the Council’s next meeting.